Hello friends! I come to you from the city of San Jose, California, which is located about six hours north of La Mirada and one hour south of San Francisco. I’ve always loved sports. I was always that girl that would rather be out playing basketball than going shopping or doing makeovers. 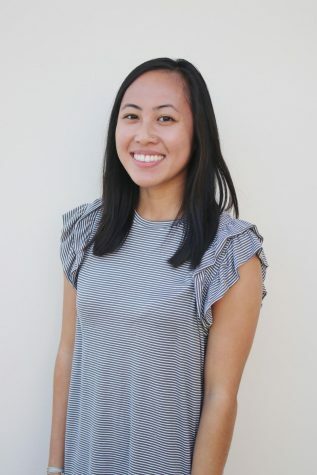 I came into Biola as a kinesiology major with hopes of a career in sports medicine and sports training, but everything changed during spring semester of my sophomore year. Though I still love sports, I realized that there is something that I enjoy even more than that: storytelling. After two years as a kinesiology major, I decided to change my major to journalism. Although I joined the Chimes party a little bit later than most, I’m thrilled to be on staff as I begin my junior year at Biola. I love all kinds of music: reggae, R&B, 80’s, alternative—you name it! You can count on me to constantly be on the lookout for artists and bands that are on tour. That being said, I am so excited to be writing for the Arts and Entertainment section of the Chimes this year. When I’m not on the search for the next concert, I love going to coffee and tea shops, finding cute places to snap photos, and eating Korean barbeque.